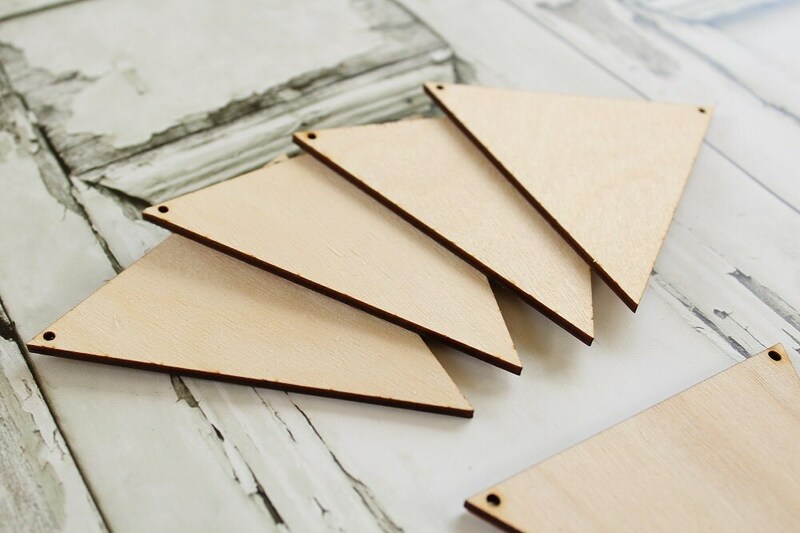 Build your own DIY unfinished wood triangle banner kit. 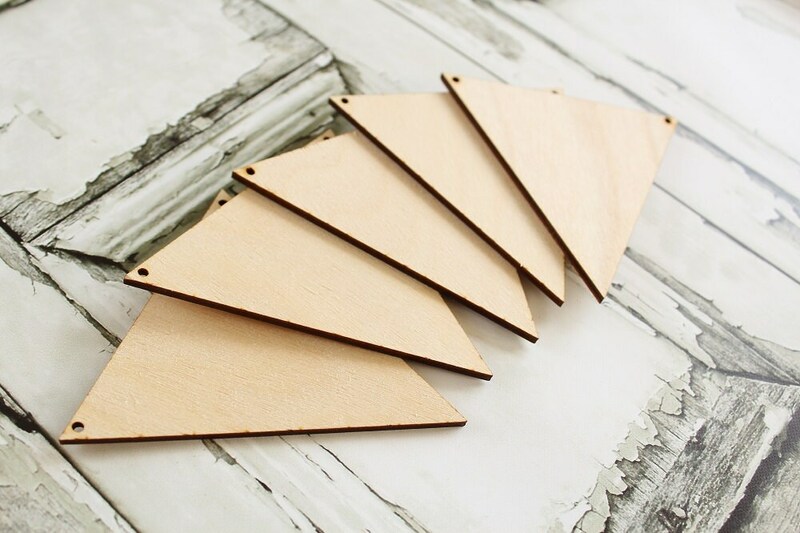 Each laser cut triangle measures 4" x 4" x 1/8"
*Cost is per triangle banner. 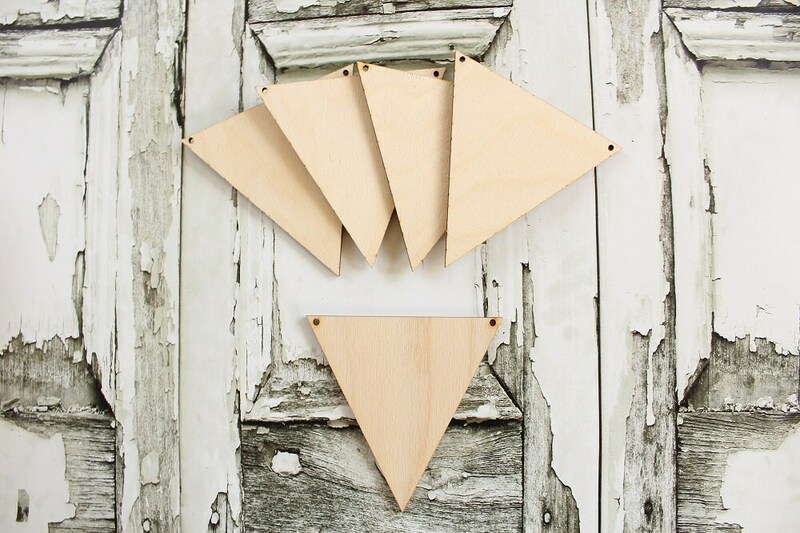 * Add the desired quantity to your cart to create your banner prior to checkout. Ready to be painted, stained and decorated for your event. 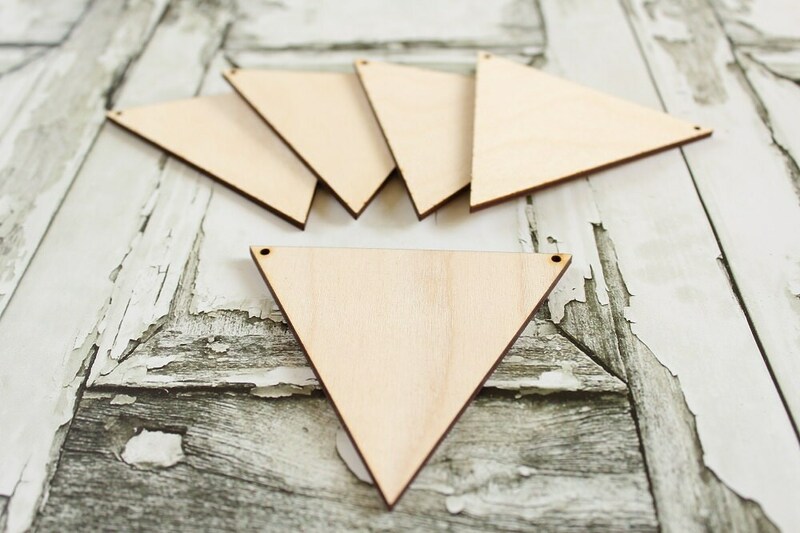 You can even coat these triangles with a coat of chalkboard spray paint and have a DIY chalkboard banner.! This item is as described however I failed to read the fine print. 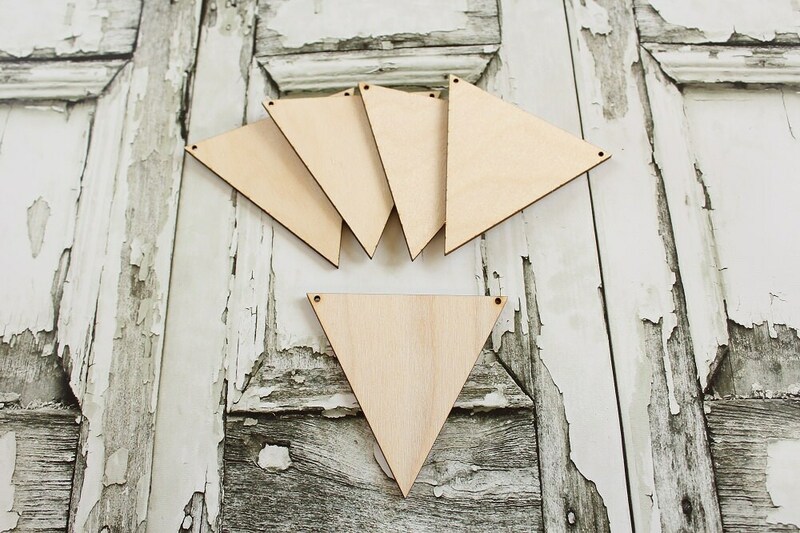 The description reads "banner" which I interpreted as a series of wood pieces and not an individual piece. The photo doesn't help as it shows several pieces not just one. Product quality is good and shipped timely.